Beading a sweater for prom. 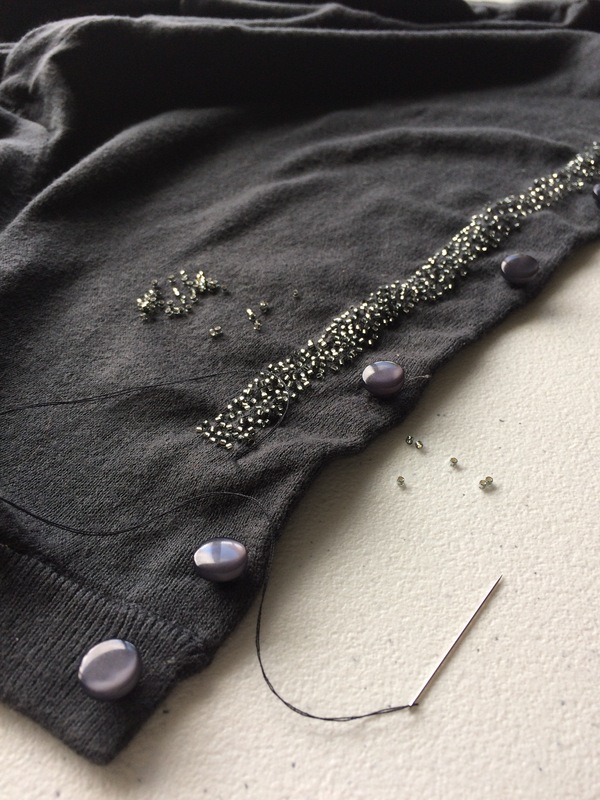 Making this soft gray sweater fancy for prom is a meditative task. It may be quicker and easier to buy something already sparkly but there’s quite satisfaction in transforming something yourself. I have enjoyed having my children read to me from their school work or from the Scriptures as I am working on this project for Juliana. This task helps me appreciate the time that goes into hand beaded items.